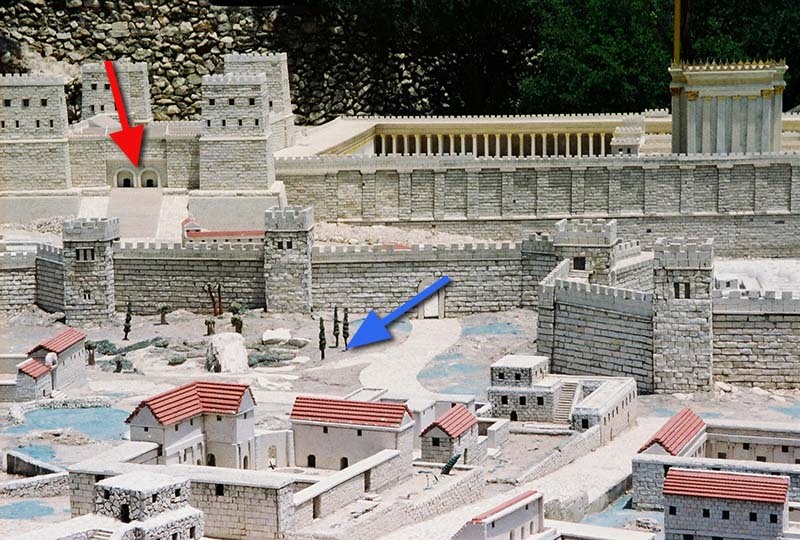 The model shows where Jesus emerged from Antonia Fortress (red arrow) and exited the city (blue arrow) to Golgotha. This is where the Church of the Holy Sepulchre now stands. If this model is accurate, this is where Jesus was crucified. Click on Golgotha to see it more closely.